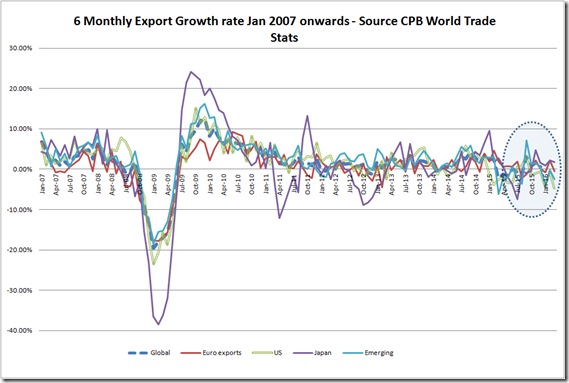 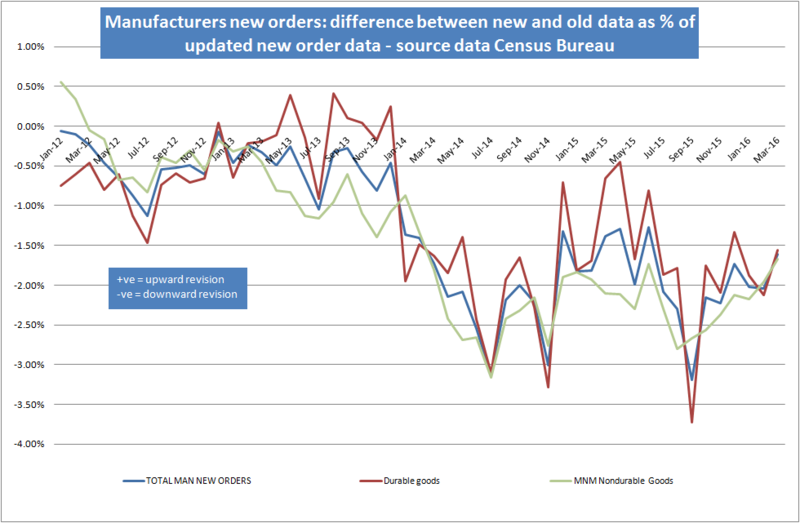 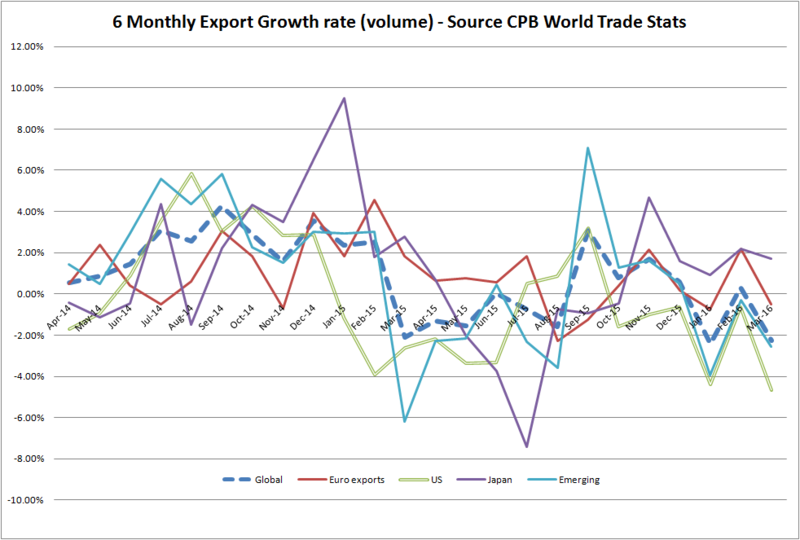 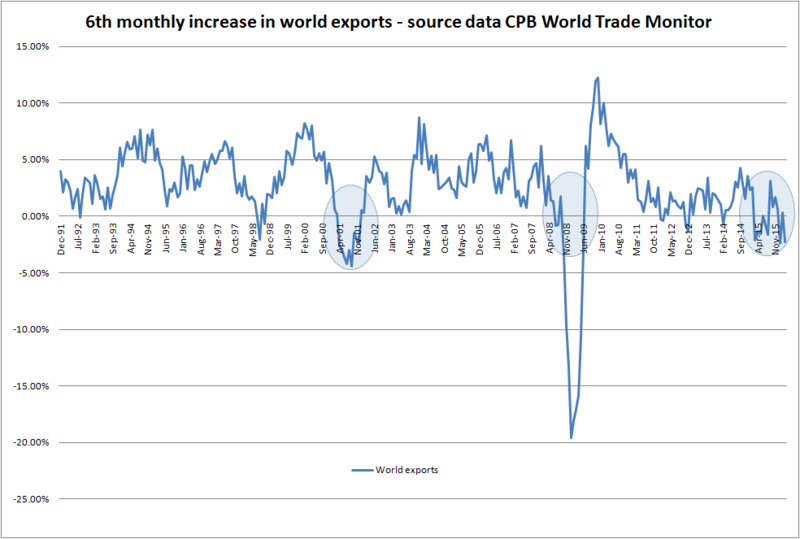 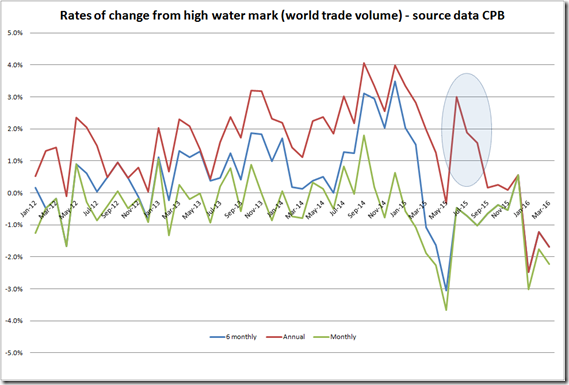 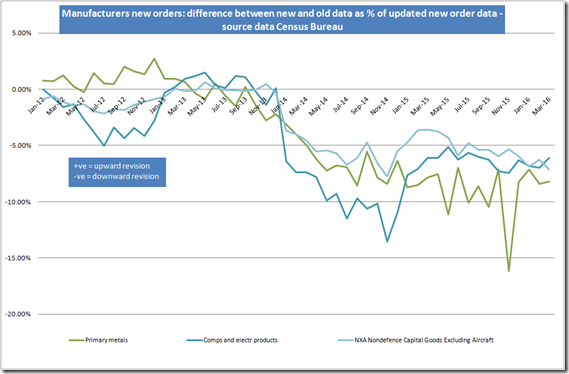 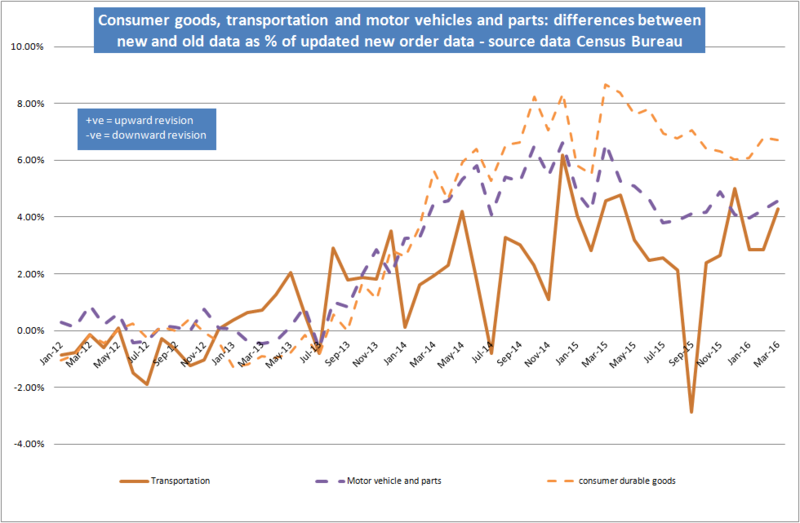 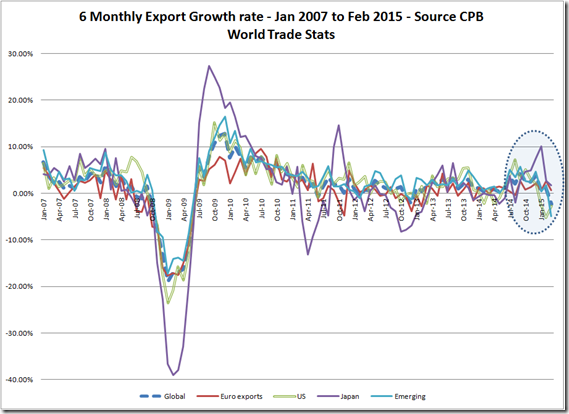 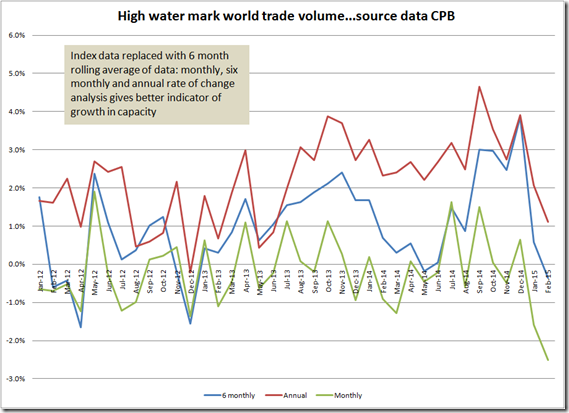 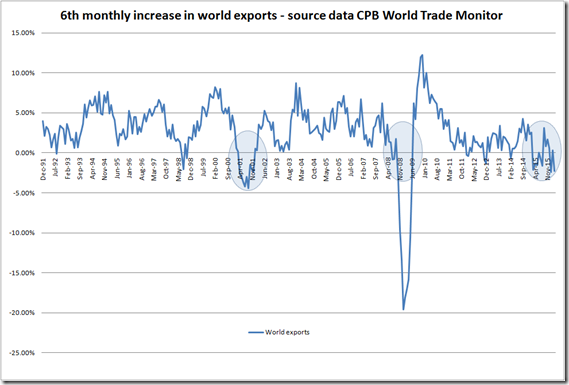 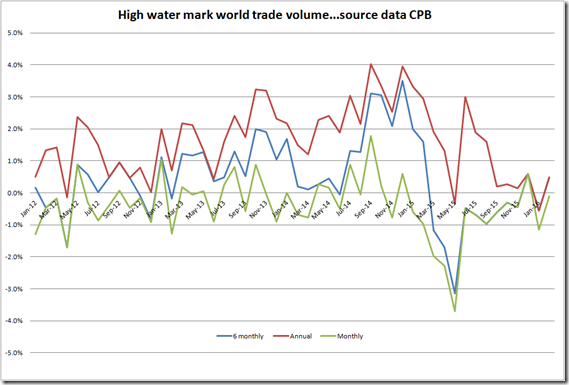 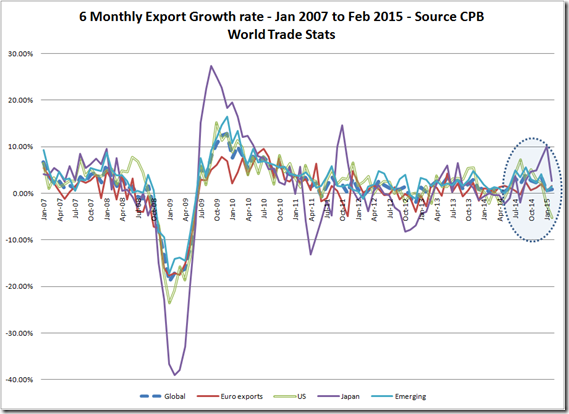 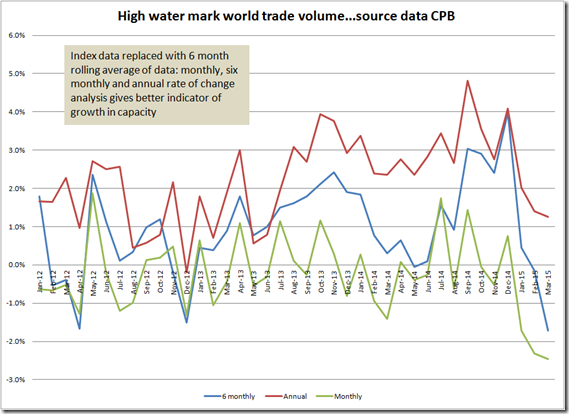 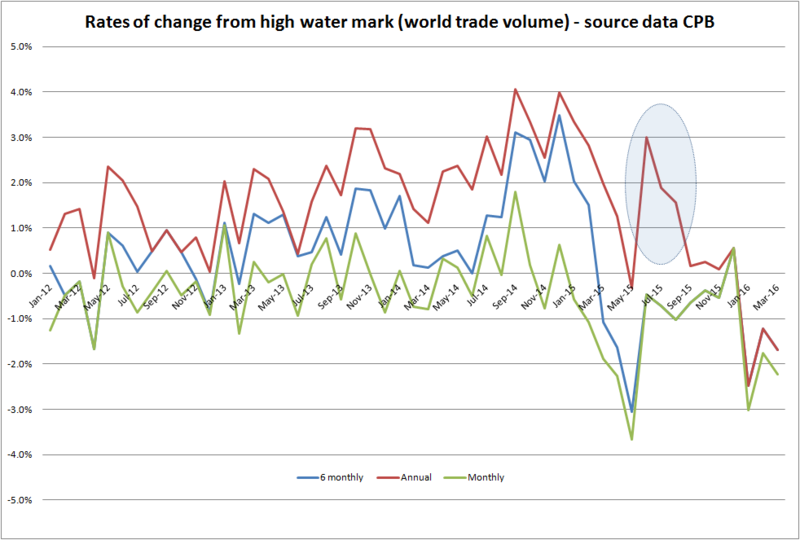 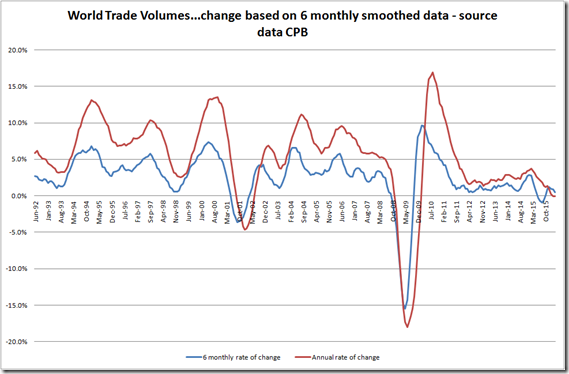 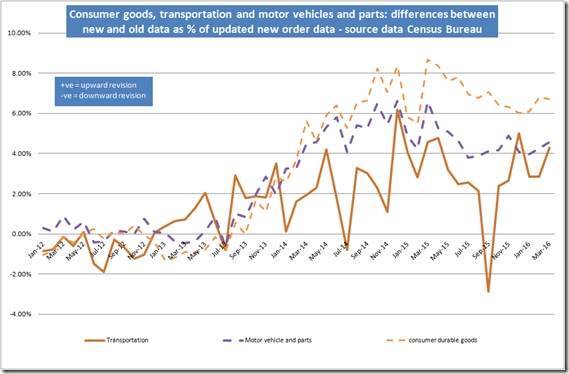 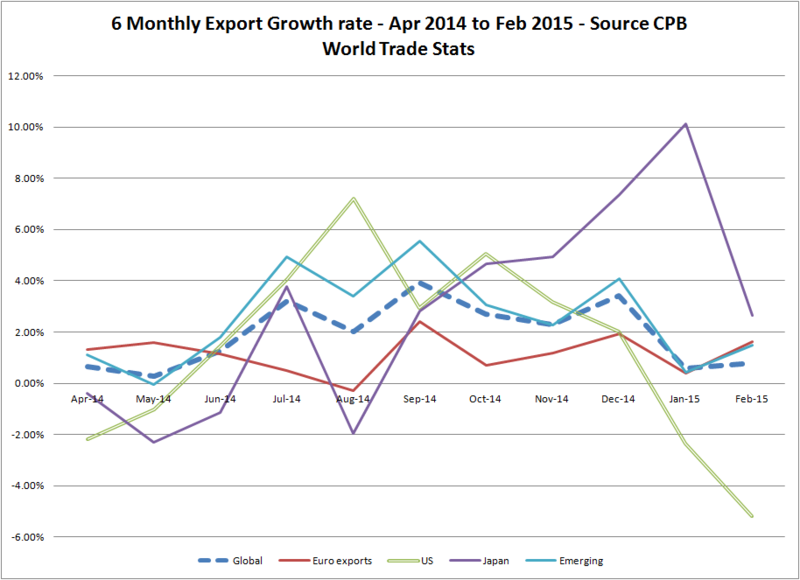 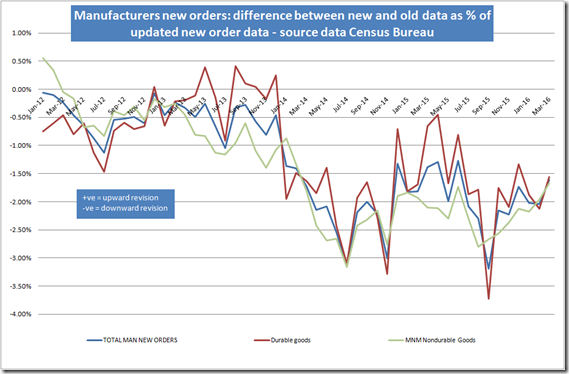 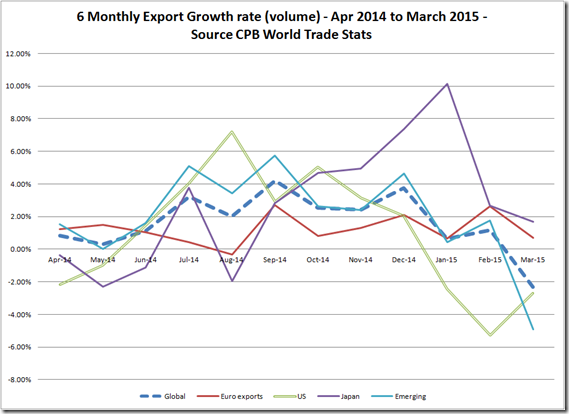 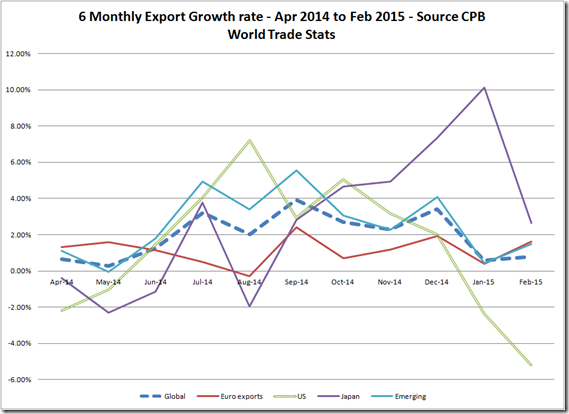 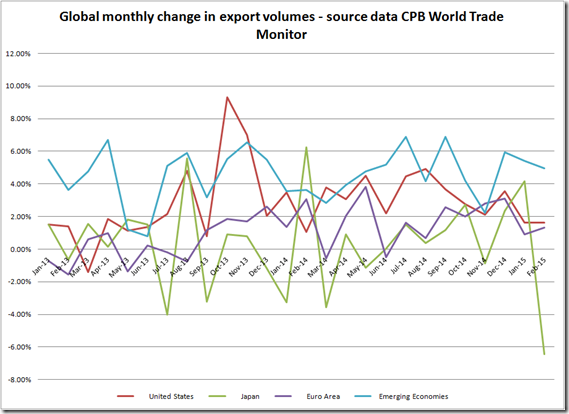 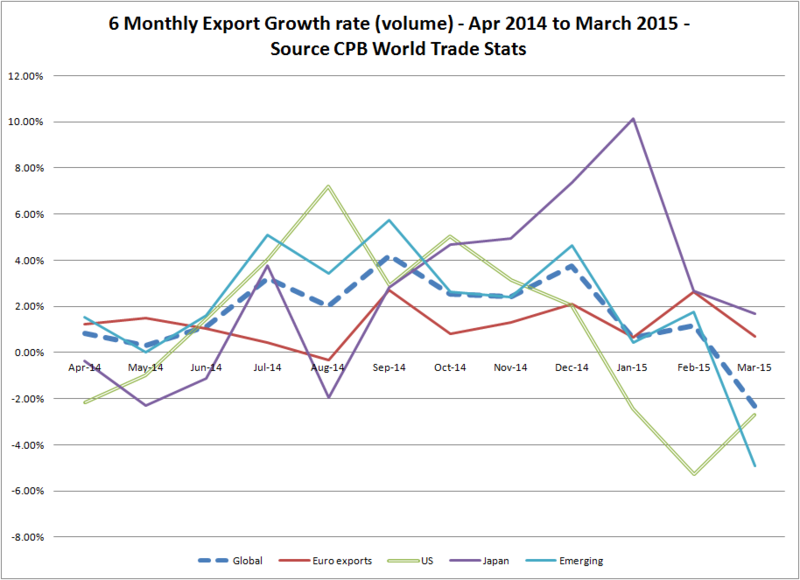 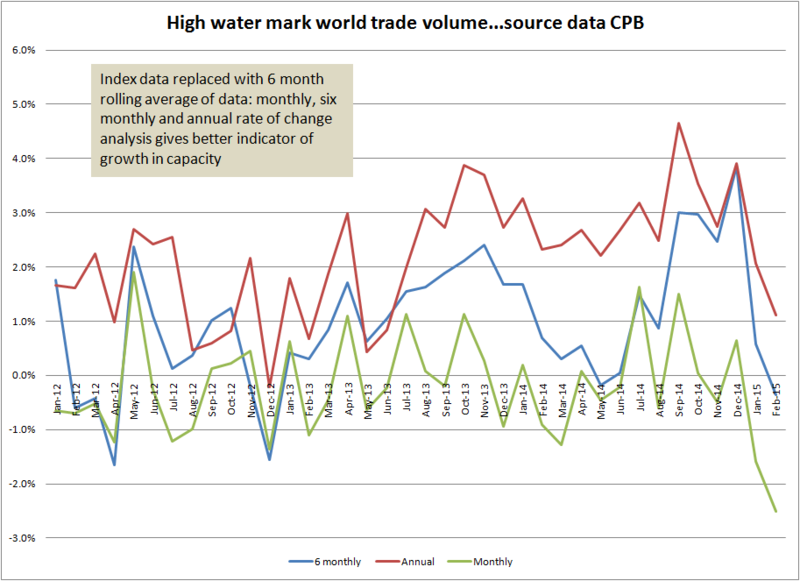 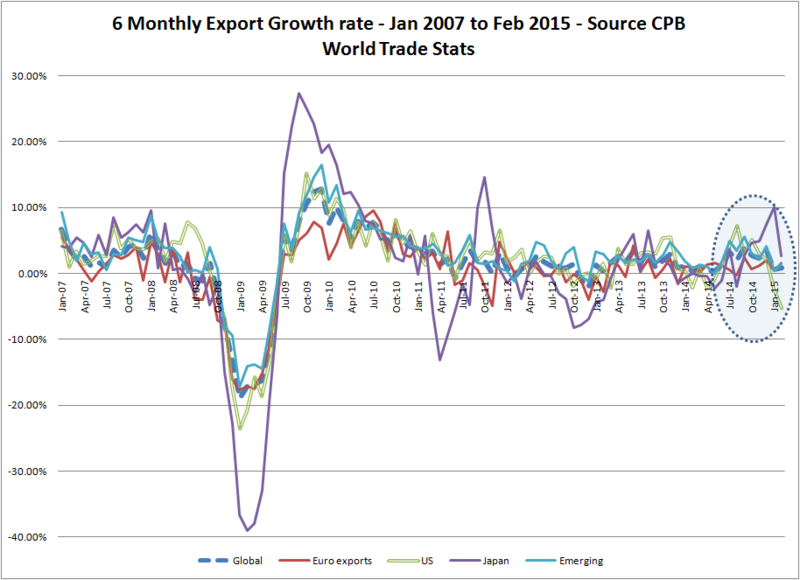 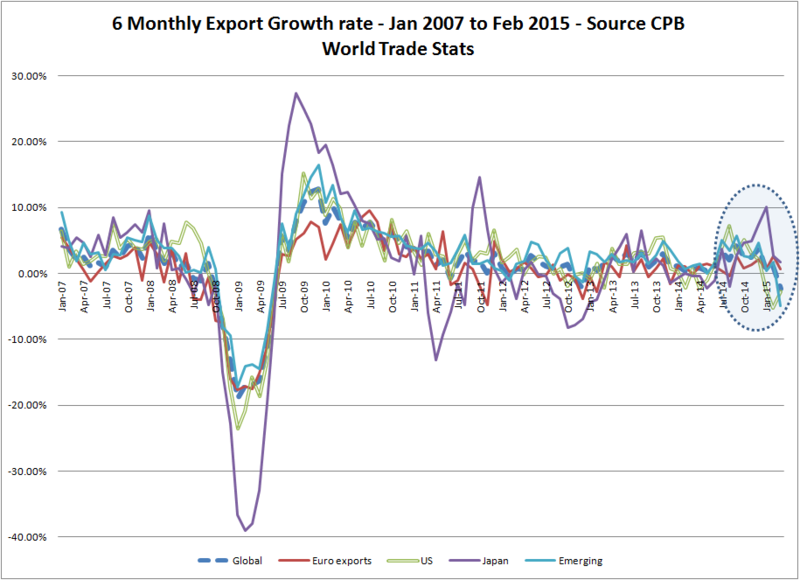 World Trade Micro Blog: has the growth stage of the cycle peaked? World trade growth is slowing down. 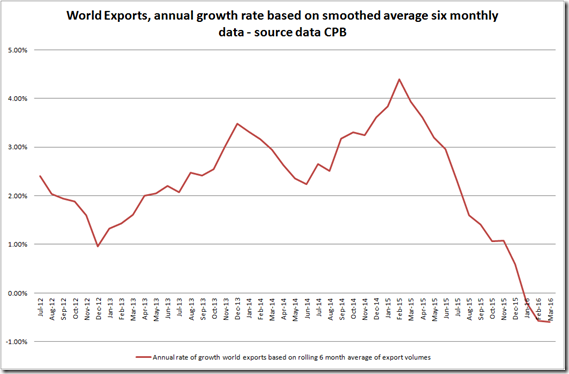 Note: 6 monthly growth rate of exports. 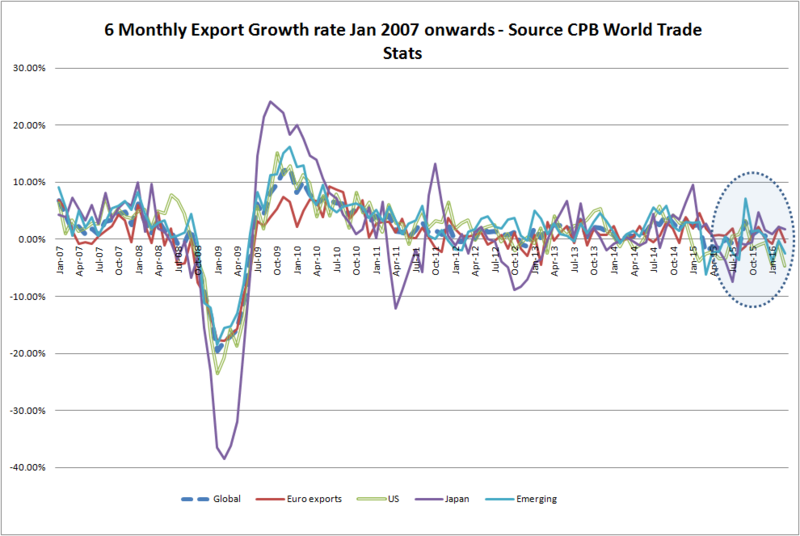 Shorter term data shows a sharper drop for Japan and a general deceleration elsewhere. 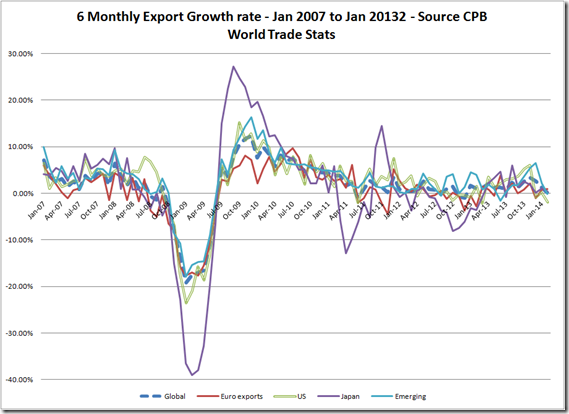 Has the European export recovery peaked? 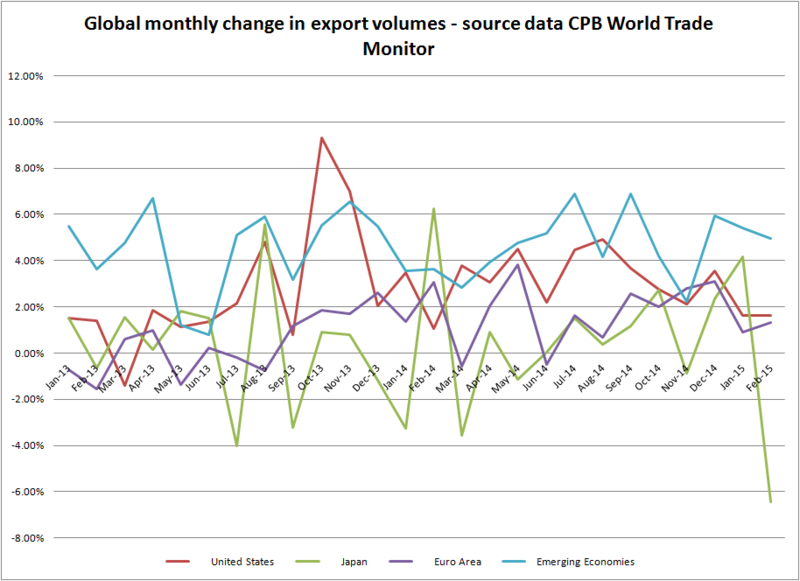 World trade fell 1% in November according to the CPB World Trade Monitor. 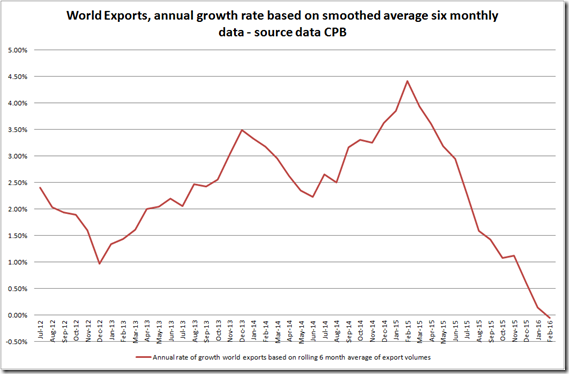 The 4 months since July represent the weakest period of growth since the earlier part of the year (Feb/March). 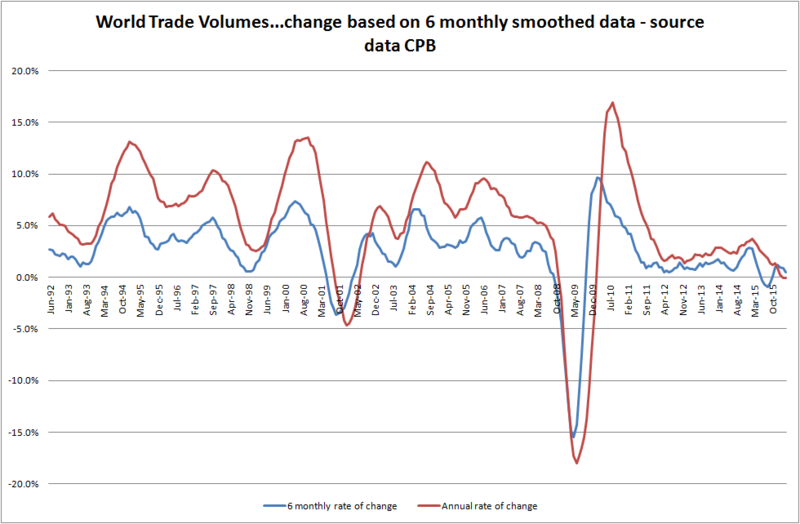 If we look on a monthly basis the slowdown has become more narrowly synchronised. 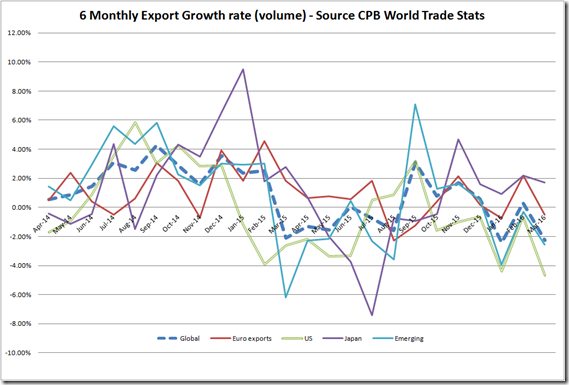 While world trade growth does go in cycles the pattern that is emerging is of stronger global growth till mid summer and fall back since that point. 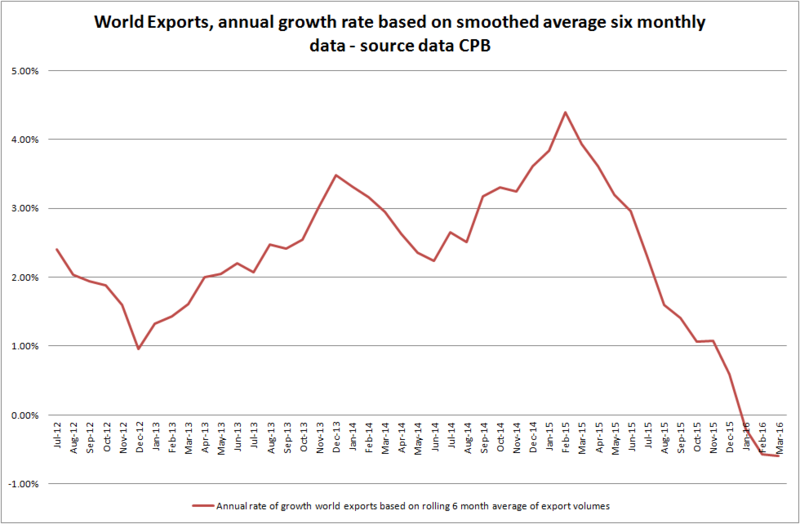 Export growth appeared to be picking up globally towards the end of last year but has since declined significantly.